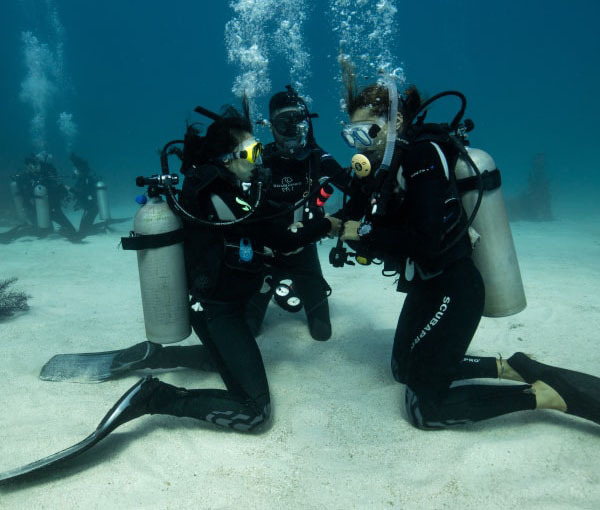 The PADI Open Water course trains you from beginner through to PADI certified diver, qualified to dive to 18M anywhere worldwide. exploring the amazing coral reefs and marine life around Dahab. To start the PADI Open Water Diver Course you need to be at least 10 years old. You need to be able to swim 200 Meters and float/tread water for ten minutes. You also need to be in good physical health. Please take a look at the PADI Medical form to find out if you should be examined by your Doctor before participating in Recreational Scuba Diving. You can even start your Open Water Diver course now by signing up for PADI eLearning. Start learning now through an interactive computer-based program. Or use the PADI Open Water Diver Touch for tablets.